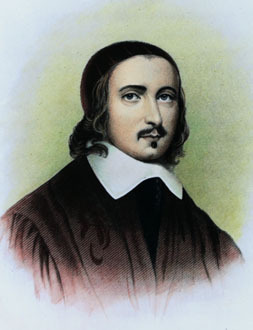 Jeremy Taylor was born at Cambridge in 1613 and ordained in 1633. In the years between 1633 and the ascendency of the Puritans in 1645, he was a Fellow of two Cambridge colleges , and chaplain to Archbishop Laud and to King Charles . Under Puritan rule, he was imprisoned three times, and forced into retirement as a family chaplain in Wales . After the Restoration , in 1661, he became Bishop of Down and Connor in Ireland. Among his many books on theological, moral, and devotional subjects, the best known are The Rule and Exercises of Holy Living (1650) and The Rule and Exercises of Holy Dying (1651), usually cited simply as Holy Living and Holy Dying. Many readers, including Charles Wesley a century later, have reported finding these books of great spiritual benefit. Another work of his, Liberty of Prophesying, argues for freedom of conscience and freedom of speech in a religious context. Being stationed in an area that was largely Roman Catholic, he was, perhaps inevitably, drawn into controversy, and he wrote a book called Dissuasion (or Dissuasive) Against Popery.